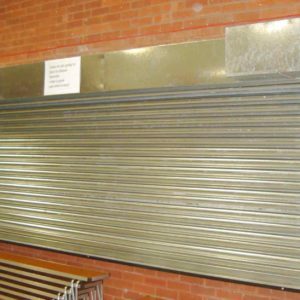 Our Series 25 4 Hour Fire Rated Electrically Operated roller shutters are a robust product ideally suited to protect commercial and industrial premises with openings up to 7000mm x 7000mm high, in addition to providing ease of operation. 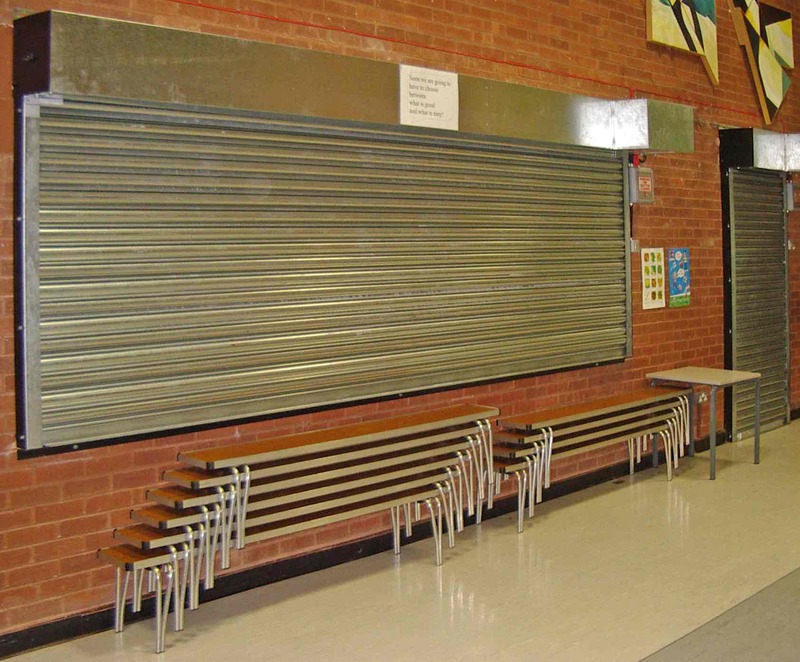 The door is designed for opening applications where there is need for protection from fire and a physical security deterrent. The roller shutter can be used for daily operation via push button or key switch. 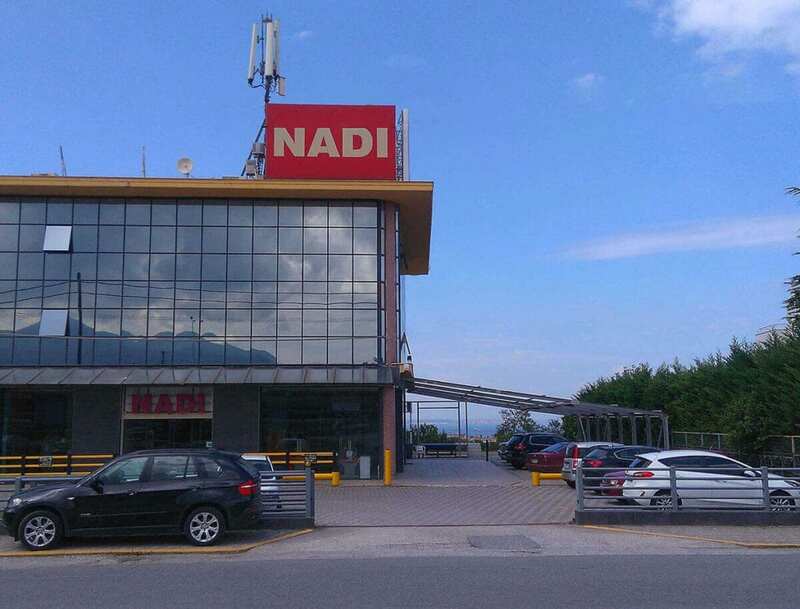 In the event of a fire, the door can be triggered by the fire alarm linked to the solenoid, or the built in fusible link, which both release the brake on the gearbox which brings down the door under gravity. Cold Rolled 3” curved traditional lath, galvanised to BS729:1971, 20 swg (0.9mm thick). Alternate laths are fitted with high quality pressed mild steel endlocks, which are double pop riveted to prevent lateral movement. 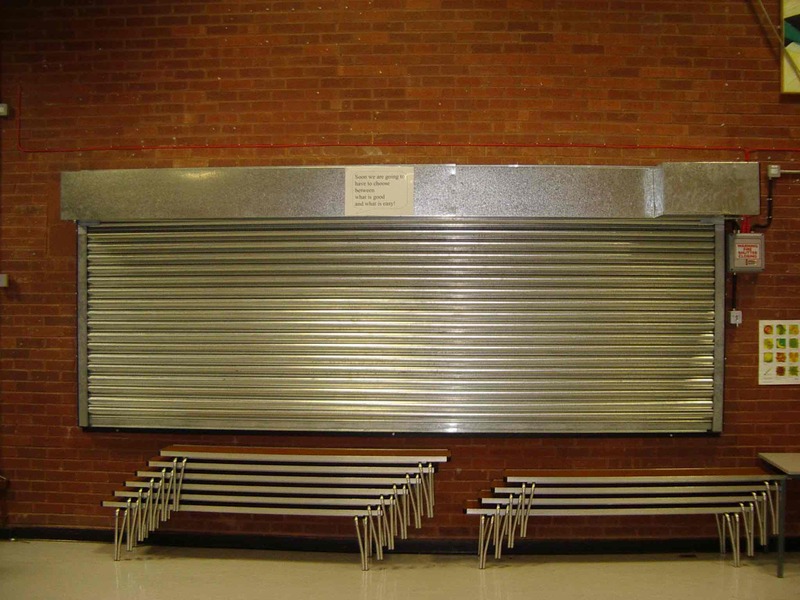 A slotted full top lath is attached to the shutter barrel using high tensile hexagon head set screws, then the main curtain is attached. 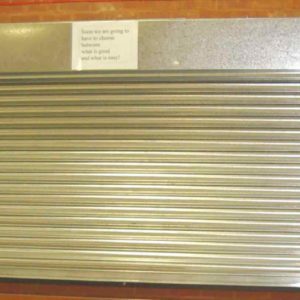 A high strength galvanised (BS729:1971) inverted “T- Section” bottom rail is added to the base of the curtain, typically 1.6mm thick, which incorporates a flat bar added for rigidity and fire intergrity. 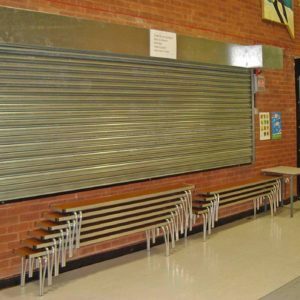 The shutter curtain is heavy and is not practical for everyday use as a security shutter. 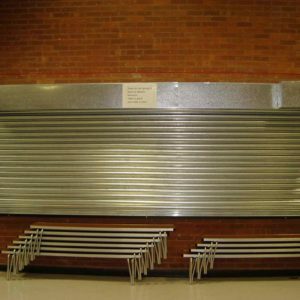 5” Outside diameter Electric Resistance Welded tube (BS 6323), complete with uniquely fabricated helical wound torsion spring assembly, for counterbalancing of the shutter curtain, the counterbalance spring is “undersprung” to assist closure in the event of a fire. The assembly is mounted within the tube on a 1” diameter steel shaft, complete with high quality mild steel bearing blocks, and high grade “sealed for life” bearings complete with platewheel for drive system. 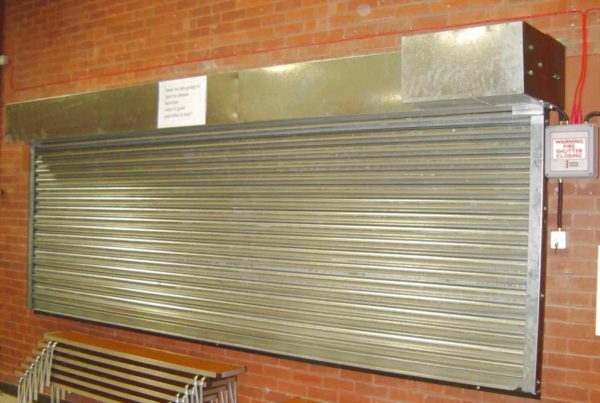 Endplates are constructed from flat 6mm thick mild steel plate (BS 1449) and bespoke mild steel “cups” are bolted to the endplate using high tensile hexagon head bolts, these “cups” are where the barrel shaft is supported. Fixing angles are formed using hot rolled angle section, 75mm x 50mm x 6mm which are slotted on the fixing face in accordance with the fire test requirements. Attached to the fixing angles are the galvanised (BS 729:1971) shutter guides, the guide section is typically 2 1/2” in depth x 1” inside dimension, the guide thickness is 3mm. A fusible link assembly is also fitted as standard (see note below). The flags are coated in a black zinc phosphate primer paint finish. Inboard Fire Door Motor – Single Phase (240v) or 3 Phase (415v). In built safety gearbox (controlled gravity descent). Optional Fusible Link (Heat Activation), Solenoid (Manual Reset – See options below) Platewheel & Sprocket Drive System, normally 1/2” x 5/16” pitch. (I.E. NOT INCLUDED AS STANDARD TO BE SPECIFIED BY CLIENT). ACTIVATED VIA HEAT FROM LOCAL FIRE. ACTIVATION TEMPERATURE NORMALLY 72 DEGREES CENTIGRADE. ACTIVATED UPON RECEIPT OF SIGNAL FROM FIRE ALARM / SMOKE DETECTOR. AUTO RESET VIA “OPEN” PUSH BUTTON, ONCE ALARM SIGNAL IS STOPPED. ACTIVATED UPON RECEIPT OF SIGNAL FROM FIRE ALARM / SMOKE DETECTOR. A TIME DELAY CAN BE PROGRAMMED IN TO THE F.D.I. PANEL, WHEREBY THE SIGNAL WILL BE HELD FROM THE SHUTTER UNTIL THE PROGRAMMED TIME HAS ELAPSED. DURING THE TIME DELAY THE F.D.I. PANEL WILL FLASH “FIRE DOOR CLOSING”, SIMULTANEOULSY AN AUDIBLE ALARM WILL SOUND. ONCE THE TIME HAS ELAPSED, THE SIGNAL WILL THAN BE SENT TO THE SOLENOID, ALLOWING THE SHUTTER TO CLOSE UNDER CONTROLLED DESCENT. 24 VOLT D.C. ( MINIMUM 0.5 AMPS, NON POLARISED).A BOOSTER PANEL CAN BE PROVIDED IF THE ALARM SYSTEM CANNOT PROVIDE CORRECT SIGNAL, THIS UNIT IS NOT INCLUDED AS STANDARD.